Unless it’s, say, a weekend in Spokane, travel tends to broaden ones horizons. I find that people are basically the same everywhere. We’re mostly good and we mostly want the same things out of life. Travel also reinforces my progressive instincts. We’re lucky here in Missoula, Montana. We have more of just about everything. Here are some thoughts on Missoula and Madagascar. I had to chuckle when I came home and urban chickens were still an issue. 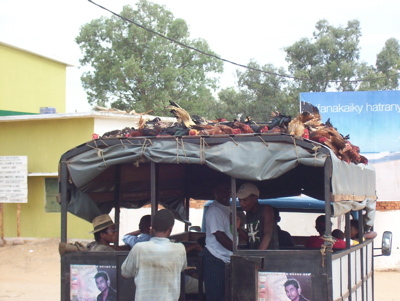 ABOVE are LIVE chickens tethered to the top of local transportation. 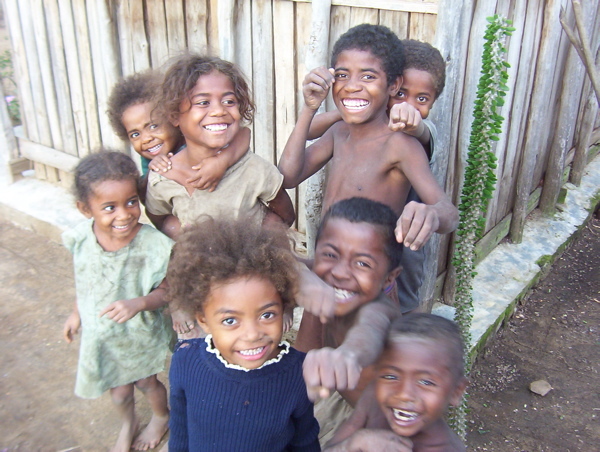 Eighty percent of the Malagasy population practices subsistence farming. Most families have chickens, goats, zebus (a sort of ox-cow breed) and other assorted livestock roaming the village. Not that I advocate this for Missoula but really, a few chickens in the yard?